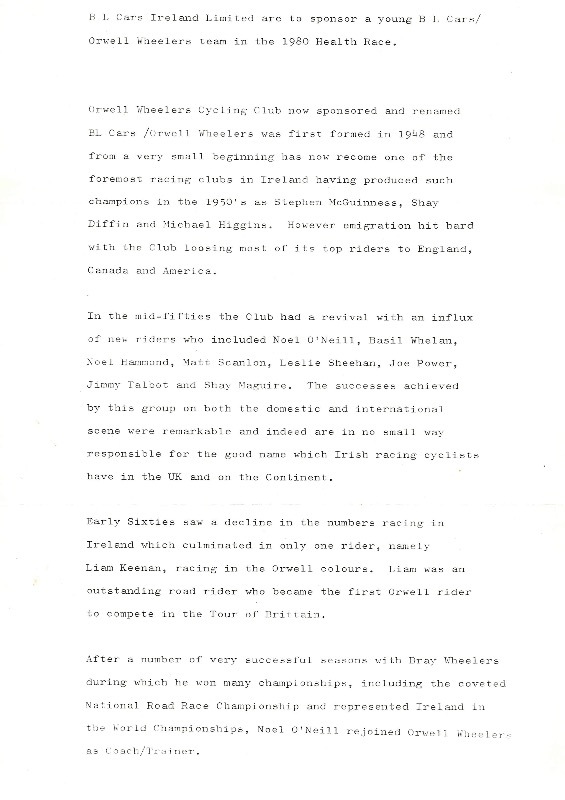 This Press Release was recently found by Damian Long and is a great piece of club history. 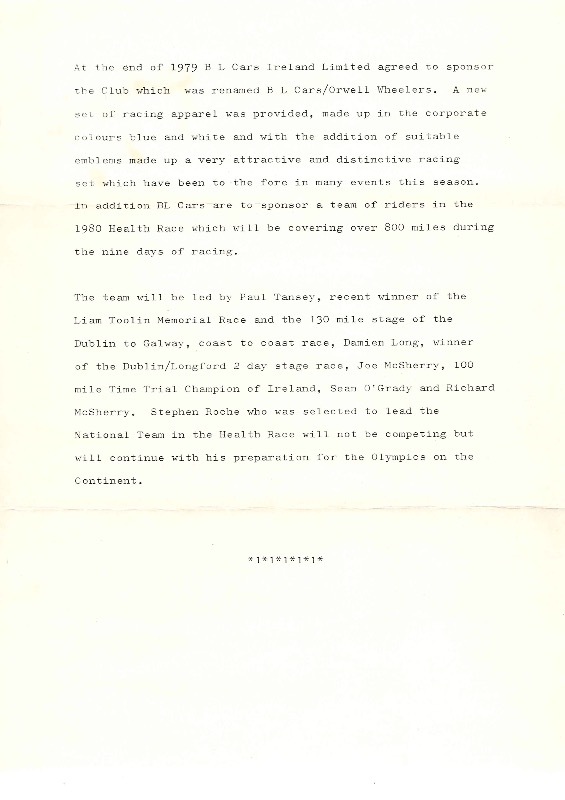 It gives a good summary of the club history in the lead up to announcing that BL Cars would be Sponsoring a “young” Orwell team in the 1980 Health Race. On that young team were Damian Long, Paul Tansey, Richard McSherry, Joe McSherry and Sean O’Grady. 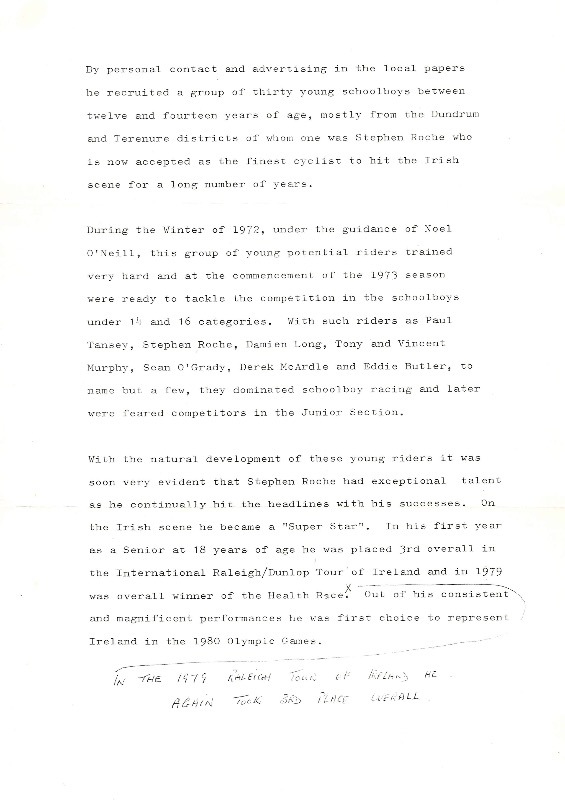 Stephen Roche has been selected to lead the National Team in the Race but had turned down the offer as he was preparing for the Olympics! If anyone knows who might have written the press release please let us know. Last edit: 2 months 3 weeks ago by Louise Keane. What a cool piece of archive! Cheers Damien. Have you still got your jersey? I still have my old BL long sleeve jersey!